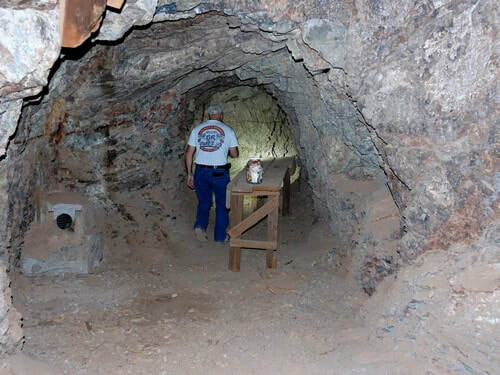 This is a short trip to go inside an old gold-copper mine with several levels. There is not much left on the outside of the mine. 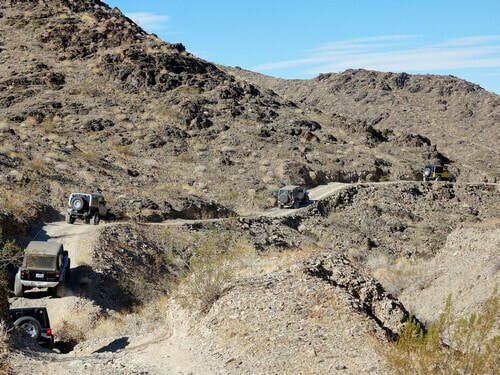 The main entrance is just behind the Jeep in this photo. Tailings above the opening indicate the upper level of the mine. ​Mineralization is hosted in schist and gneiss. 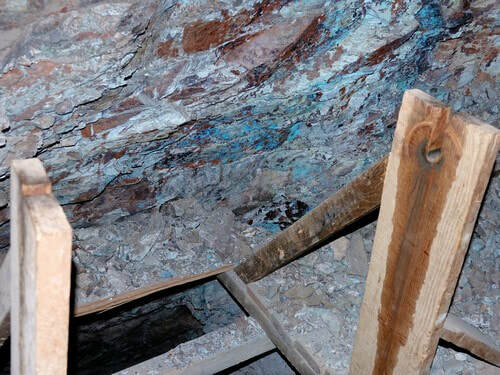 The ore body is a vein complex striking NW and dipping 60NE at a width of 1.22 meters. Parallel quartz veins occur in gneissoid granite and schist. Local rocks include Precambrian igneous and metamorphic rock complex. 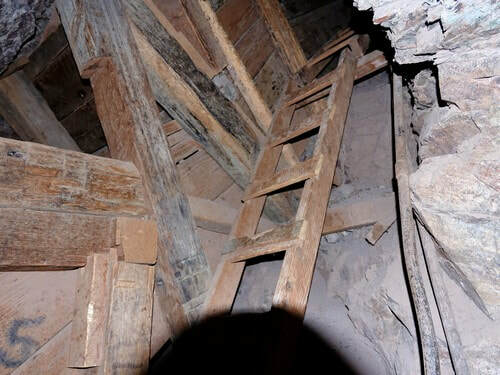 Workings include underground openings comprised of 2 tunnels. The lower tunnel was driven 490 feet SE on the vein with a winze 225 feet deep. 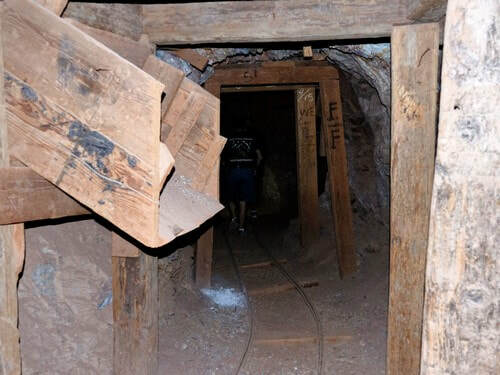 The upper tunnel was driven SE 250 feet on the vein. 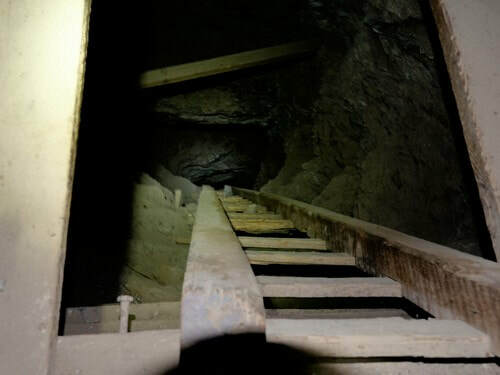 The tunnels are connected by a 125 foot raise on the vein. It is obvious that there are other levels from the main one. We saw ladders going both up and down, but did not climb on them. Chrysocola is evidence that this was a copper mine. 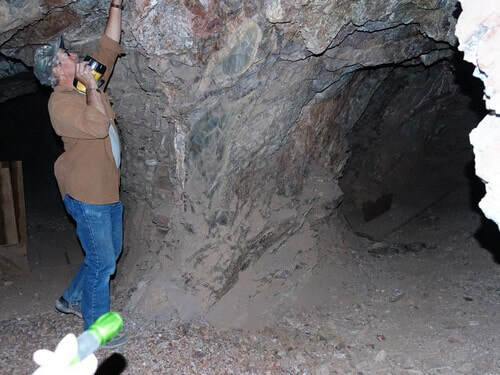 There is at least one geocache inside the mine. This one is in a short dead end adit. 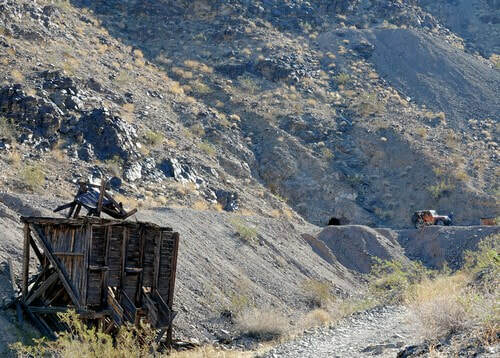 There are several ore chutes that loaded ore into rail cars. Rails are still in place. ​The tunnel forks an the end of the tracks. Neither fork goes very far. Alice mine is located in a canyon of the Riverside Mountains. 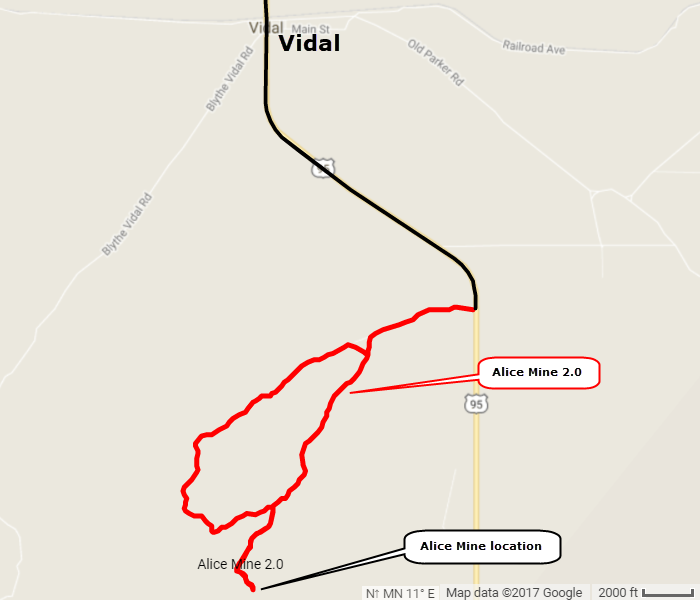 The roads are generally easy with only one slightly difficult area close to the mine. 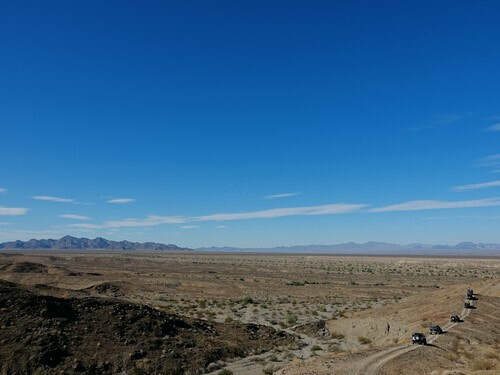 Most of the trail is over flat desert that surrounds the mountains.